In the litany of ‘whitepapers’, client briefings and less than useful ‘look at me’ marketing pieces that have hit the web since passage of ACA, here is one that is worth the look. 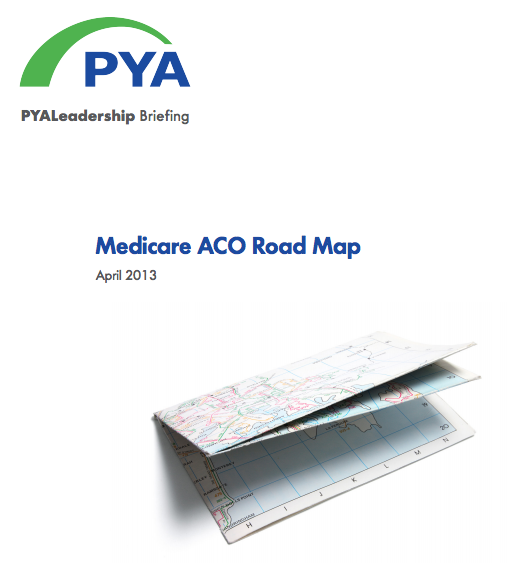 Principally authored by Martie Ross of PYA, the title is simply ‘Medicare ACO Roadmap’. Tomorrow on ‘this week in accountable care‘, we’ll chat with it’s principal author and spokesperson, Martie Ross, J.D. The drum beat both inside the regulatory sphere of CMS ‘certified ACOs’ as well as the larger pool of privately structured commercial ACOs continues unabated. To join in on an informative chat either live or via archived replay with Martie Ross, click here. Patient Engagement and ACOs: A Timely Union or Cute Ad Copy?